This customer had a 500 ft long lane driveway that was previously gravel. They realized an asphalt paved driveway would better suit their needs. We paved all the way back to the customer’s new horse barn. 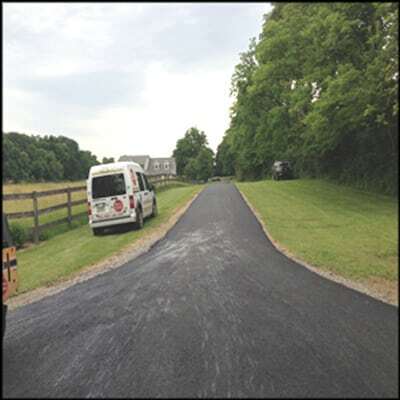 ID3 asphalt was used to ensure the upholding of weight from the horse trailers and heavy trucks they had on the property.